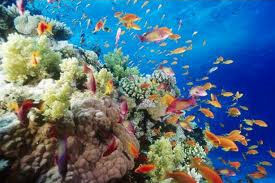 Safaga, located about 65 km south of Hurghada, is an attractive tourist destination. World class water sports such as scuba diving, snorkelling, kite surfing and windsurfing, mineral springs and therapeutic spas with health treatments and luxurious resorts and accommodations, the port town of Safaga has it all. Located in a wide sandy and azure bay, the beach resorts cater mainly to divers, windsurfers and spa lovers. With unique black sand dune beaches and highly saline water that is rich in minerals, a trip that includes surf and sand is not only therapeutic for the soul, but also beneficial for the skin. Soma Bay lies on the northernmost point of the bay of Safaga, approximately 45 km south of Hurghada, on a long sandy peninsula fringed with coral reef. Entering the area through a single controlled entry gate the resort contains luxury hotels and a top-class 18-hole championship golf course designed by the golf legend Gary Player. As a result of the available black sand it houses also one of the largest spas and thalassic-therapy centres in the region. For snorkel fans and those who want to be, there is a breathtaking house reef which lies directly ‘in front of your door’. Soma Bay is an ideal destination for those with non-diving partners and children. Safaga is only around 210 km from the most famous ancient capital of the ancient world – Thebes – or Luxor. So, if you visit Safaga you could easily plan a short trip to this ancient capital. Luxor has so many temples and historic monuments that it is virtually one enormous open air museum of Pharaonic Egypt. What about seeing the Valley of the Kings, Hatshepsut Temple, the Temple of Karnak or Luxor Temple! But it has a lot more to offer. Here you can engage with local Egyptian town life and its people. You can submerge into the souk looking for just that one present for home or drift down the Nile in a felucca enjoying the cool breeze of the late afternoon as the sun sets.